My daughter has just started exploring the online world of games, stories, CBeebies and YouTube videos. Needless to say I am having nightmares and have been almost accused of being a stalker by my husband. Men will never understand a mother’s concern on why she desperately is trying to install a parental control software on the computer. Concerned about the online safety of your teenager? Let me admit it, mine is not a teenager yet, but I am having sleepless nights worrying about what my kids are being exposed to online. 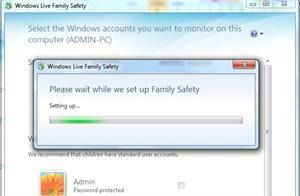 I have a Windows 7 laptop and was trying to figure out to add a parental control feature so that I feel secure when I am not physically able to monitor my kid’s activities. 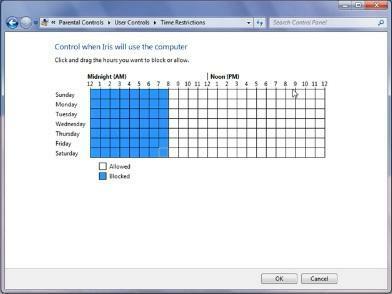 I was shocked to learn that my computer already had a parental control feature. I am so stumped and thrilled. If you are like me and have a Windows 7 and are paranoid about the online safety of your kids, then you must read on. Login with an existing Windows Live ID or create a new one. If you want you can use an existing login or create a new one. I created a new login for my daughter. I would have loved to create a new one for my husband as well, but hey let us stick with being nice for a while. I logged in with my Windows Live ID. It is easy and free to register for one. I suggest you spend 5 minutes and get yourself setup. One you enter the login credentials you are taken to this screen. Waiting while the computer does its stuff. Okay, Looks like I am done. 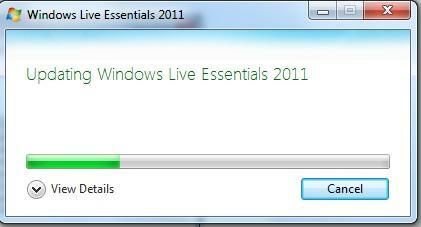 I have been prompted to install Windows Live Essentials 2011. You might be prompted to do the same. You may also be prompted to enter your admin password, so be prepared. 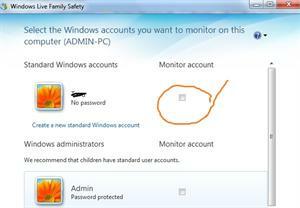 Once you have setup the parental control feature on Windows 7, you can control 3 things. This is a big one for me. I can keep a tab on which time(s) of the day my daughter can access the Internet. It is great. I can block off late nights and early mornings. Maybe give her control for only a few set hours per day. I had to drag and select the hours to block. The blue slots are blocked and the white slots are the open hours or unblocked ones. While it does not block the games online, it is blocking the games they are not supposed to play on the computer. This does not interest me as I do not have bad games on my computer. It is nice to know that I can block games based on age and content ratings. This is a nice feature as she will not be able to access the chat and other software I have installed. I simply have to allow her to access only the programs I want her to access. This is what I was looking for. At last, I can block all those filthy websites. I hated it when my company blocked all my websites at work. No Facebook, no Gmail, but I love that I can control where she visits using the Family safety feature. If my kid wants to access a site, she is prompted to ask permission from parent either via e-mail or in person. This is just perfect. My daughter is still not at an age where she argues on privacy rights and all. If your child questions his or her privacy rights, then you must explain your actions to them. I am a fairly strict mother, but my kids feel comfortable and secure with me, knowing I have their interests at heart. They actually like and resent my actions at the same time. A child is not sure what to do with their freedom. Teach them how to wisely use their freedom and set them free when you feel they are ready to move on. As a parent I am very concerned about the safety of my child’s online experience. I want them to explore and learn, but want to help them feel secure, safe and free. Parental control software is letting me be a mom and taking care of all my stress for me. What are your concerns for your child’s safety? 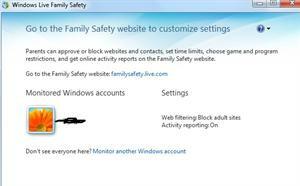 If you are worried about their safety, try configuring the free windows 7 parental control software. Leave me a holler below with any concerns. I am no techie but I can sure help you. As a parent you must take precautions. Go ahead and empower yourself with this software today.